Paxful is a decentralized Bitcoin exchange where buyers and sellers are paired up, peer to peer (P2P). Like LocalBitcoins, Paxful allows individuals to buy Bitcoin direct from other sellers using a wide variety of payment options. Paxful doesn’t require users to submit personal identifying documents (no KYC here), meaning that transactions can occur with near anonymity. This offers Paxful users a great deal of freedom, but it also means that Paxful users are putting their money into an unregulated exchange. Furthermore, Paxful rates can be pretty high. Paxful has been in operation for several years now, and while they still offer utility to users around the globe, greater competition in this space is eliminating reasons why one might use Paxful. We’ll try to give the exchange a fair analysis in this Paxful review, but generally we would recommend other options for Bitcoin purchase. Today, even a Bitcoin ATM can offer more security and, usually, a better price. For investing, more novel options like eToro can save the user money, with much added security. 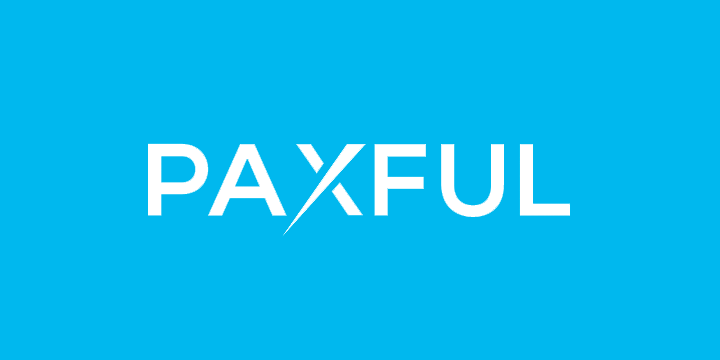 Paxful was founded in July 2015 as a way for individuals to trade Bitcoin with other individuals, without requiring the services of a centralized exchange. Centralized exchanges like Coinbase require their users to give them a ton of personal information. This information can be (and as of 2017, is) given to governments, or lost at the hands of hackers. There are plenty of other reasons why someone might prefer a decentralized option, but most of them relate to the privacy and autonomy that decentralized exchanges confer upon their users. With Paxful, users could buy Bitcoin from other users with “over 300 payment methods” (Paxful’s words). Paxful lets users buy Bitcoin with cash, gift cards, other cryptocurrencies, and a wide array of global currencies. Payment options get weirder and more obscure than this. Where else can you buy Bitcoin with a Chipotle gift card? To be frank, Paxful exists largely to facilitate “grey market” Bitcoin transactions. On some occasions these transactions may facilitate tax evasion or other fraud. In other cases, users may simply wish privacy for “legitimate” reasons. For others, using Paxful is a matter of principle, something understood by the Libertarian minded. If you relate to these motivations for buying Bitcoin, Paxful might be the right exchange option for you. In general, though, we find Paxful to be increasingly antiquated – not as anonymous as other options, more expensive, and without the security of more novel systems. It still has its place, but we’d generally direct new users to other exchanges. eToro isn’t anything like Paxful, but that’s exactly why it might be a better Bitcoin alternative to Paxful, especially for newer or investment-only crypto buyers. We’ll explain by comparing and contrasting the two exchange types. Paxful only sells Bitcoin, but eToro offers 10 cryptocurrencies to its users, including successful new altcoins like Ethereum, EOS, NEO, Stellar Lumens, and Bitcoin Cash. Paxful users will have to find other platforms in order to buy these altcoins, while eToro users can get them “all under one roof”. eToro is available in 60+ countries, including the United States. Paxful is available pretty much everywhere, because it is not a regulated exchange. While this might keep some global users from being able to invest with eToro, in general we find that the regulatory compliance of eToro makes it a place we’re much more comfortable to store our money. Paxful is riddled with scammers, eager to steal the funds of an unwitting user. Scams are successfully completed every day, and it’s easy for even experienced users to get wrapped up in them. eToro, meanwhile, doesn’t require its users to spot scams. All sales on the site are legitimate and conducted between the user and eToro. Paxful sells Bitcoin, which the user then has to keep track of. Bitcoin can be lost or stolen, all which can easily happen to new users. eToro sells CFDs – contracts that give users all the profit rights that ownership models like Paxful do, just without the chances for mistakes and loss of funds. Paxful has a fairly steep learning curve, but eToro is about as easy to use as any investment platform on the internet. The user interface couldn’t be any simpler, and users often don’t have to have any training to make successful trades. Contrast this with Paxful, where users have to communicate with individual sellers, many of whom are scammers, and try to discern fair rates in a highly volatile market. Paxful accepts endless payment options, which is a perk for those who need this flexibility or who really wish to cover their tracks. This is a mark in Paxful’s favor, for some. eToro, on the other hand, just takes US Dollars. This is much more simple, especially for new users, and it speaks to eToro’s being above board in all respects. The differences between Paxful and eToro don’t end here, but this should give you a sense of the majorly different playing fields that these two Bitcoin exchange options inhabit. In general, we’d recommend eToro to anyone who wants to invest in more than just Bitcoin, anyone who wants their money to be dependably secure, who like companies that handle their money to be well regulated, and who don’t have any reason to obscure their Bitcoin purchase. On the other hand, Paxful might offer value to privacy-minded users, and those who have unusual payment methods. Even so, LocalBitcoins, or even a Bitcoin ATM, might offer the same perks, without the potential downsides of an aging platform like Paxful. Paxful works, it’s true, but we can’t say it’s the best option in this era of cryptocurrency investment. Paxful is a decentralized exchange, meaning they merely facilitate the trade of Bitcoin between independent buyers and sellers. They don’t stock Bitcoin, and thus provide no liquidity for these exchanges. They do, however, provide the framework by which these trades are conducted, and take profits from each trade that occurs on the platform. This is where Paxful’s scamminess starts to emerge. Paxful only takes trading fees from sellers – never buyers. This means that all sellers, even the scammy ones, are central to Paxful’s business model. The fact that Paxful is full of scammers, bent on nothing but taking advantage of the site’s most gullible users, means that many of the trades which Paxful profits from are fraudulent. Furthermore, user complaints that Paxful looks the other way when scammers abuse the platform speaks to the fact that Paxful knowingly profits from dishonest actions among their core user base. This isn’t good for the Paxful community, nor does it seem sustainable in an increasingly competitive market. But Paxful shows no sign of changing their ways. The other common allegation of fraudulent activity by Paxful is rooted in the way the company handled “forks” of Bitcoin. As many of you will know, anyone can modify Bitcoin’s software. If they can then convince Bitcoin miners to run alternative software, this new software becomes a “fork” of Bitcoin – mostly the same as Bitcoin, but with important differences. Perhaps the most important (or at least the most noticeable) difference is that when someone forks Bitcoin, they produce a new coin with its own value. This coin doesn’t take away from Bitcoin’s value; it is assigned value by the market. Bitcoin Cash is a fork of Bitcoin worth over $1000 apiece. There have been many other. Anyone who owns Bitcoin at the time of a fork automatically gets the new coin. However, when funds are held by exchanges like Paxful, it’s the responsibility of the exchange to give the new coins to the users. Paxful has never done this, even after dozens of Bitcoin forks. This has reportedly cost users millions of dollars, all free to the operators of Paxful. Because of these two factors, we find Paxful to be somewhat scammy, though legitimate trading activity does occur. For these reasons, we recommend that users try other options for buying Bitcoin. So let’s say you’re aware of the potential downsides, and you nonetheless want to use Paxful to buy Bitcoin with anonymity. How do you find reliable sellers? Fortunately, Paxful allows users to rate other users on their trustworthiness. If you want to buy Bitcoin from a Paxful seller, look for someone who has at least a 98% positive rating, and who has been a member of the site for at least a year. Always feel free to communicate with your seller, and don’t be afraid to back out of a deal if you get a bad feeling about the transaction, or if the seller is evasive, dishonest, or abusive. Fortunately, Paxful can be an ally in this regard. If you have questions about how your transaction is going, or about the platform in general, Paxful’s customer service is normally responsive and ready to help. Paxful has a strong escrow program, so you should not see your money turned over to a seller unless your Bitcoin is delivered first. Obviously, with so many scammers someone has found a way to game this system. The escrow system is not fully foolproof, but knowledgeable users will be able to user it correctly and thus stay safe. Users can also use 2 Factor Authentication, a strong extra security layer that’s much more secure than simple password alone. 2 Factor Authentication isn’t the perfect system it used to be, and hackers today have found ways about it when sufficiently motivated. However, for the average person 2 Factor Authentication is enough to keep access to an account like Paxful safe and secure. Paxful fees are pretty low in the big scheme of things, especially when you consider that centralized exchanges like Coinbase charge as much as 3.99% for certain transactions. Paxful, in contrast, doesn’t charge buyers and fees at all, and takes on a “miner fee” to cover transaction costs built into the Bitcoin blockchain network itself. This doesn’t mean that Paxful buyers won’t pay fees though. Sellers charge fees for different sorts of transactions. Let’s say you want to pay in gift cards, for example. Most sellers don’t actually want to use the gift cards for all of their spending, and many will convert them into cash. They’ll charge a high fee for this extra effort. These fees are highly variable and not related to any official policy of Paxful, so be aware of this when vetting offers. Sellers lose 1% of every transaction, and this is more than enough for Paxful to make ends meet. With tens of thousands of transactions occurring all over the world every day, you can bet that Paxful is a highly lucrative business indeed. Paxful has good points and bad points, but we can’t recommend it overall. There are better ways to buy Bitcoin anonymously (LocalBitcoins and even Bitcoin ATMs, for example). There are cheaper alternatives for sellers. There are more secure ways to protect money when buying Bitcoin. There are platforms with much lower incidence of fraud, and little or no scammer presence. Paxful once stood out as a very compelling business model, offering excellent value to users around the world. Plenty of users still like Paxful, but in our opinion, the industry has passed Paxful by. There are simply too many other ways to buy Bitcoin, with features that meet the needs of every Bitcoin user. We’ve already mentioned eToro for investors interested in ease of use and access to altcoins beyond just Bitcoin. There are many other alternatives. We applaud Paxful for being an early example of a decentralized exchange. We believe that decentralized exchanges will have an important role to play in the future of Bitcoin and cryptocurrency in general. But without important changes, Paxful is going to alienate users and become nothing more than a fringe buying option – a place to trade gift cards for Bitcoin and not a lot more.